WHY IT RATES: The destination attracted more than 20 million visitors over the first half of 2018, a more than 7 percent rise over the same period last year.—Patrick Clarke, TravelPulse Senior Writer. Mexico welcomed a record-breaking 39.3 million visitors in 2017, the hallmark of visionary leadership that has resulted in a 78.7 percent increase in international visitation to the country since 2012. The United Nations World Tourism Organization (UNWTO) declared this year that Mexico is now the world’s sixth most visited country, a leap from being number 15 in the organization’s ranking in 2012. The Mexico Tourism Board hails this achievement as the result of a multi-faceted effort to promote Mexico on the world stage. Today, Mexico’s tourism industry accounts for 8.7 percent of the country’s GDP with $21.3 billion in visitor spend and is the source of 10 million jobs. 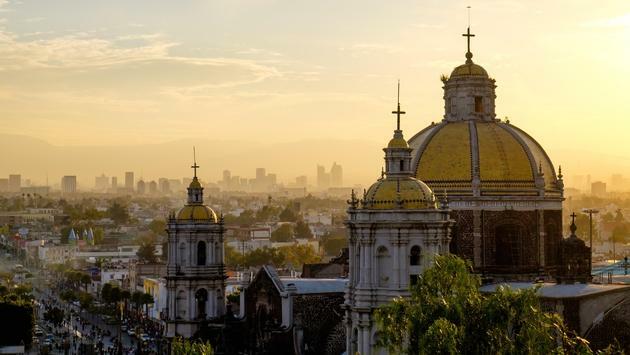 Increasing air connectivity to priority markets was a critical component of the tourism growth strategy, as Mexico focused on strengthening its airport network, expanding several terminals with state-of-the-art technology. National routes have grown 41 percent and international routes have grown by 28 percent. Among new international routes are the Helsinki—Puerto Vallarta flight from Finnair and the Tokyo—Mexico City non-stop flight from All Nippon Airways; both routes opened last year. Air connectivity continued to be a priority this year, with 1.5 million seats added to direct flights to Mexico. Mexico’s strong commitment to increasing air connectivity to match consumer demand has led to investments in developing close partnerships with airlines, hotels, and the tourism industry. As a result, since 2012 Mexico saw an increase of 33 percent in visitor arrivals from Europe, a 96 percent increase in visitor arrivals from South America and a 127 percent increase in visitor arrivals from Asia. The United States continues to be the most important market for international visitors to Mexico. In the first eight months of the year, Mexico received 7.6 million visitors by air from the United States, representing a 43.9 percent increase since 2014, thanks in part to the increased air connectivity between the neighboring countries. Additional key drivers for growth include strong industry partnerships such as those with TIA (Travel Industry Association), VIRTUOSO, Total Vacations, Classic Vacations, Delta Vacations, travAlliancemedia, ASTA (American Society of Travel Advisors), among others. Lastly, product diversification beyond sun and beach offerings have resulted in an increase in interest in cultural and historical destinations among American travelers. In 2017, the MTB launched A World of Its Own, an innovative campaign focused on the vibrant, multi-faceted experiences that builds on Mexico’s recognized positioning as a mega-destination that keeps visitors coming back. The global marketing campaign featured content and messages customized by market, consumer segments and tourism products. As part of the campaign, the MTB introduced “Dear Country” in 2017 to broker a dialogue with Mexico’s priority markets highlighting the real commonalities shared between the countries. A robust content marketing program included personalized invitations for 21 countries including United States, Canada, Colombia, Brazil, Argentina, Chile, Peru, Spain, Germany, Italy, France, U.K., Finland, Poland, the Netherlands, Russia, South Korea, Japan, China, Australia and India. Earlier this year, MTB launched ‘Viajemos Todos por México’ (‘Let’s All Travel Across Mexico’) in the United States, an integrated product and marketing initiative to reach the more than 35 million Americans who identify as having Mexican heritage. The program celebrates highlights the theme of cultural inheritance, inviting Mexican-Americans to discover their roots, and showcases more than 200 Mexican destinations through the “Mexican Routes” portal. “Viajemos Todos por México” offers more than 1,000 different tourism packages to Mexico, many of which offer discounts of up to 60 percent depending on the season. MTB also launched Mundo Maya, a tourism product with routes and experiences to satisfy travelers’ desire to connect with other cultures and explore Mexico’s indigenous communities. Mundo Maya has the highest concentration of UNESCO World Heritage Sites in Mexico and offers travelers the opportunity to explore unique archaeological, cultural, and culinary offerings. The state of Oaxaca is the latest addition to this route, which includes the states of Campeche, Quintana Roo, Yucatan, Tabasco, and Chiapas; Mundo Maya also includes 47 of the 68 indigenous towns that exist in Mexico. Throughout this administration, the MTB and Ministry of Tourism continued its support of the “Pueblos Mágicos” (Magical Towns) program that began in 2001. Located among mountains, jungles, beaches and deserts, Magical Towns are a sample of Mexico’s natural, cultural and architectural wealth. In this year’s Pueblos Mágicos Fair held earlier this month, ten new cities and towns were included in the program for a total of 121 towns, including Múzquiz, Coahuila; Nombre de Dios, Durango; Comonfort, Guanajuato; Zimapán, Hidalgo; Tlaquepaque, Jalisco; Compostela, Nayarit; Amealco de Bonfil, Querétaro; Aquismón, San Luis Potosí; Bustamante, Nuevo León; and Guadalupe, Zacatecas. During the past few years, Mexico has become a powerhouse for high-impact sporting and cultural events. The Formula 1 Mexican Grand Prix returned to Mexico in 2015 and quickly became one of the favorite circuits of the season for fans and a success for the country. The most recent circuit, the Grand Prix of 2017, resulted in US$500 million in revenue for Mexico. In 2016, the National Football League (NFL) returned to Mexico with a regular season game, which was held again the following season. The 2017 game attracted 32,400 visitors to Mexico City, including 8,900 international visitors. Without a doubt, there is no greater display and celebration of Mexico’s culture, history, and people than the traditional Day of the Dead festivities. Declared an Intangible Cultural Heritage of Humanity by UNESCO in 2008, the Day of the Dead is an homage to life as friends and family come together to celebrate in each corner of the country. Mexico City’s Day of the Dead parade is now celebrating its third year; last year’s edition generated US$140 million in revenue and 100 percent hotel occupancy in the city’s main tourist neighborhoods: Chapultepec-Polanco, Santa Fe, Torre Mayor-Zona Rosa, Aeropuerto-Foro Sol, Tlalpan-Taxqueña. Mexico has received numerous awards for service and experiences offered to visitors, including Travvy Awards for being the #1 destination for family travel, the title of best honeymoon destination for Riviera Maya and the #2 spot worldwide for LGBT travel; Oaxaca is #5 on the list of “Places You Need to Visit in 2018” by National Geographic, Los Cabos is ranked as one of the 52 Places to Go in 2018 by the New York Times, and Puebla is #8 on the Best Places to Visit list by CNN. During this administration, the annual Tianguis Turístico was strengthened and has become the most important promotional platform for Mexico’s tourism industry. The most recent edition of the Tianguis Turístico in Mazatlán welcomed some of the tourism industry’s most important stakeholders and offered firsthand experiences of Mexico’s varied tourism offerings. The destination underwent a significant transformation and renovation to host this event, which resulted in 44,000 business meetings and visits with 1,500 travel buyers and 935 domestic and international companies. Represented at the event were 11 airlines whom, together, transport 40 percent of the travelers who visit Mexico; tour operators who bring millions of travelers to Mexico each year were also represented. International visitors continue to arrive in Mexico to explore its cities, Pueblos Mágicos, beaches and attend world-class events. The allure of these experiences has attracted 20.6 million visitors in the first six months of 2018 representing a 7.3 percent increase over the same period in 2017. Overall visitor spending increased by 4.3 percent during the first half of 2018. Looking ahead, Mexico is prepared to sustain its upward trajectory and is committed to welcoming more visitors by nurturing existing partnerships and working with destinations to continuously elevate the experiences they offer. These efforts will ensure that tourism continues to be a catalyst for growth and opportunity for all. SOURCE: Mexico Tourism Board press release.